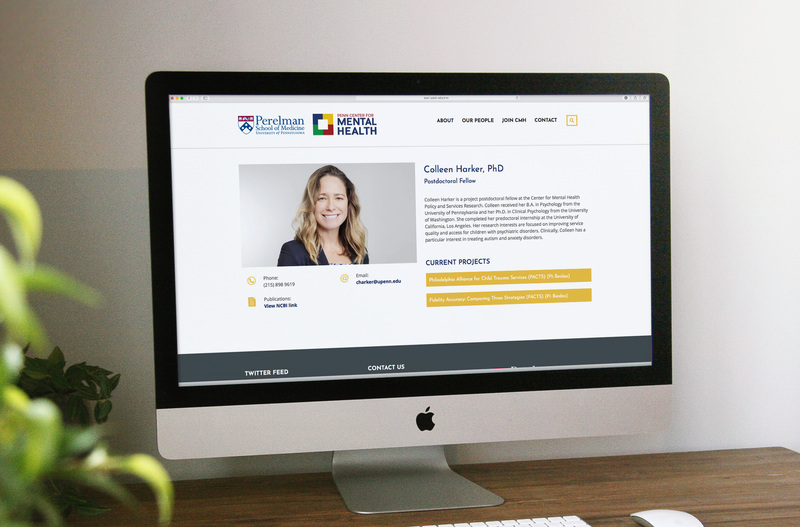 The Center for Mental Health Policy Services and Research at the Perelman School of Medicine at the University of Pennsylvania was a leader in advancing mental health research, policy and practice. Though it’s been nationally recognized for its work in adult and children’s mental health services, the more than 30-year-old Center isn’t very well-known outside of the academic community or its circle of clients and partners. 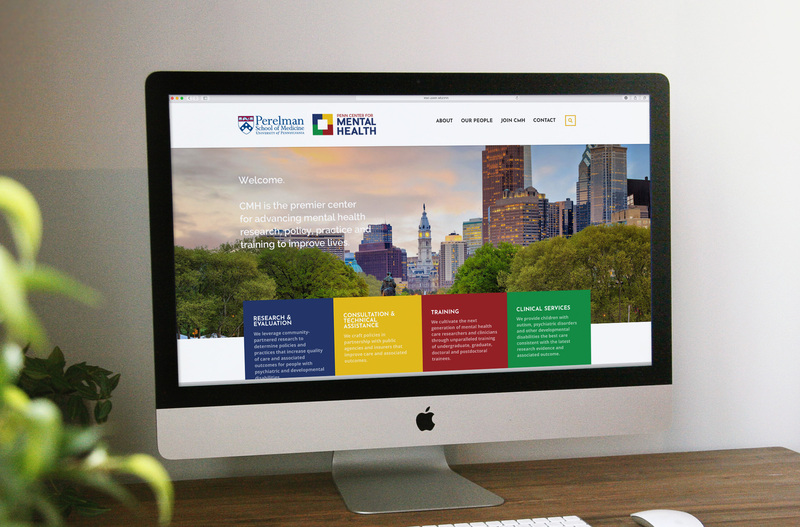 To help generate greater awareness and position itself as the nation’s premier Center for advancing mental health, the Center engaged Little Warrior for a rebrand, a new website and a communications strategy. 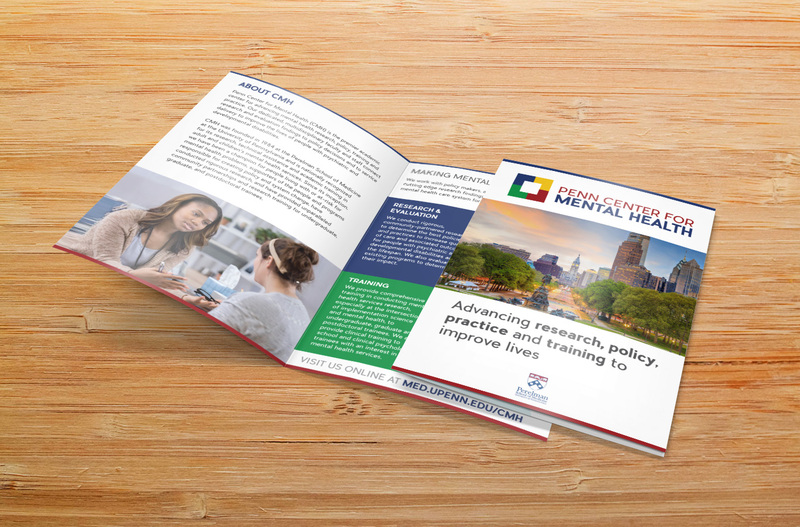 This comprehensive project included developing a new, easier to say name and a tagline; creating a visual identity and brand voice that is both unique and aligned with Penn Medicine; designing and developing modern, user friendly website; creating an array of printed collateral and an e-newsletter; and developing a Communications Roadmap to guide the organization’s ongoing communications. With its new name and visual identity in place, and its new website live, the Center is perfectly positioned to generate greater awareness of and engagement with its innovative and important work, and, perhaps most importantly, improve even more lives.